Wolfgang Spot Eliminator removes stubborn spots and stains on carpet and upholstery. Concentrated cleaner is water-based and safe on virtually any interior surface. Tough stains and stubborn, ground-in dirt don't stand chance! 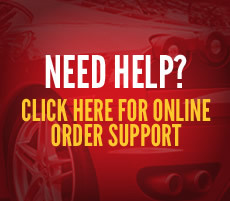 Wolfgang Spot Eliminator is the answer to your vehicle's toughest spots and stains. Armed with industrial strength cleaning agents, Wolfgang Spot Eliminator deep cleans auto carpet and upholstery and helps repel future stains. 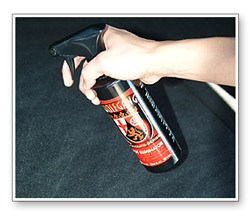 Give your car's interior a blast of superior cleaning power with Wolfgang Spot Eliminator. Wolfgang Spot Eliminator is formulated to act fast and leave nothing behind. This blend of industrial strength, water-based cleaners and German super polymers works to eradicate stains and protect the carpet and upholstery from future stains. Wolfgang Spot Eliminator removes the most difficult stains like food, soda, perspiration, ink, gum, grease, and much more. Carpet, mats, and seats are left looking and feeling completely clean. Wolfgang Spot Eliminator works by sequestering grease, oils, and dirt away from the individual fibers. As you agitate with a brush, these particles are released from the fibers and held suspended until you blot them away with a towel. This type of cleaner is gentle on carpet and upholstery fibers, and it doesn't leave a sticky residue. While the cleaners are hard at work, German super polymers bond to the fibers to shield them from spills and stains. Future cleaning is made easier with Wolfgang Spot Eliminator. Wolfgang Spot Eliminator can be used on virtually any surface, including the dashboard and door panels. The water-based cleaners are safe and gentle on plastics as well as fabrics and carpet. Vacuum affected area first to remove all loose particles. Spray Wolfgang Spot Eliminator directly on the stain. Allow cleaner to sit and penetrate for 20-30 seconds. Agitate with a brush or damp sponge. Pat dry with a clean microfiber towel. For extra tough stains, a second application may be necessary. Tech Notes: For regular cleaning, use Wolfgang Carpet & Upholstery Cleaner. It removes most stains and day-to-day dirt. When you encounter those "impossible" stains, use Wolfgang Spot Eliminator. For the best results, always treat a stain as soon as it occurs to prevent it from setting in.